Know a California farmer, rancher or forester who goes above and beyond in the care and management of natural resources? Nominate them for the 2019 California Leopold Conservation Award®. Sand County Foundation, the nation’s leading voice for the conservation of private land, presents the Leopold Conservation Award to private landowners in 13 states for extraordinary achievement in voluntary conservation. In California the $10,000 award is presented with Sustainable Conservation and California Farm Bureau Federation. “Leopold Conservation Award recipients are at the forefront of a movement by America’s farmers and ranchers to simultaneously achieve economic and environmental success,” said Kevin McAleese, Sand County Foundation President and Chief Executive Officer. The Leopold Conservation Award in California is made possible thanks to the generous support of Sustainable Conservation, the California Farm Bureau Federation, Farm Credit West, American Ag Credit, The Harvey L. & Maud S. Sorensen Foundation, The Nature Conservancy in California, McDonald’s, and California LCA recipient alumni.The Leopold Conservation Award will be presented at the California Farm Bureau Federation’s Annual Meeting in December. The first California Leopold Conservation Award recipient was selected in 2006. Lundberg Family Farms of Richvale received the award in 2018. For more information on the award, visit www.leopoldconservationaward.org. 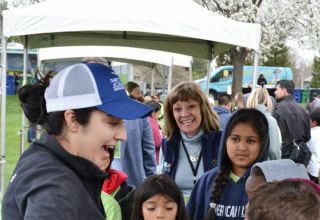 The California Farm Bureau Federation works to protect family farms and ranches on behalf of more than 40,000 members statewide and as part of a nationwide network of more than 5.5 million Farm Bureau members.www.cfbf.com. Hewlett's Estate Auctions servicing the Central Valley area over 40 years, liquidations.